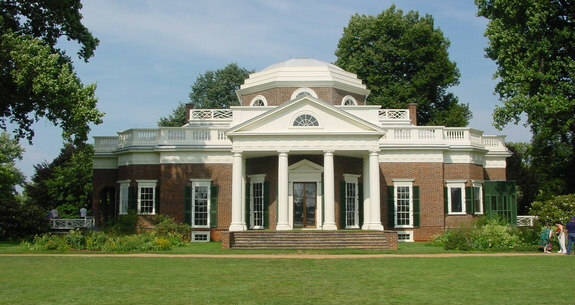 When visiting Monticello, it is advised to "prepare to spend a lot of time there if you want to experience everything." And if possible, "sign up for the Behind the Scenes Tour! The extra cost is so worth it." While you're there, "make an extra trip to see Jefferson's Poplar Forest home -- It's much less crowded and you can see the ongoing progress on the restoration. It's fascinating." and "James Madison's home Montpelier is very nearby and worth taking a day to explore." You might also want to consider purchasing the Monticello Neighborhood Pass - a discount combination ticket to tour Monticello, Ash Lawn-Highland, and Michie Tavern's Tavern Museum. Check their website to plan your trip. This way, you will be able to time your visit with one of their special events. Book online and save money. Get your tickets as far out as possible to get the time you want. (Amber Rogers) Plan to arrive 30 minutes before your scheduled tour. Plan on being on your feet all day. Wear comfortable shoes. Don't forget to bring a bottle of water with you. It gets hot in the House especially in summer. Most crowded months: April. Also avoid going on a holiday weekend. It is generally best to visit in the morning (before 11) and late afternoon (after 3). Best months to visit: Late August - September. Included in the Monticello Day Pass and House Tour is the first-floor tour of the house, a guided Slavery at Monticello tour, a guided Garden and Grounds tour and access to the exhibitions, Griffin Discovery Room and the African American Graveyard. If you want a more extensive tour, take the Behind the Scenes House Tour and Day Pass where you can go up the narrow staircase to explore the private quarters on the second and third floors, including the iconic Dome Room. From February to November, you may take the Hemings Family Tour. A 1 hour, 45 minute small-group interactive tour that explores both the Main House and Mulberry Row – the industrial heart of Jefferson’s plantation. Get a schedule for your tour as early in the day as possible (first tour if you can). If you quickly hustle around the back of the house, you’ll have a clear and unobstructed view of Monticello and its surrounding grounds and gardens to take pictures. Later in the day, this will be packed. Allow 20 Minutes to watch the well-done introductory film, Thomas Jefferson's World, at the Visitor's Center. Preferably before your house tour. Take the shuttle going to the house, it's a 3 minute ride up on a steep hill. After the house tour, walk back down - it's mostly downhill and you'll be able to pass by the cemetery. You are permitted to tip the guides. Only bags and backpacks not exceeding 11 x 15 x 6 inches are allowed inside the house. Eating, drinking, chewing gum and using tobacco products are prohibited. Cell phones and other electronic devices must be turned off. The Dome Room is the only room in the house where you are allowed to take photos. You may only get access to the Dome Room and the second floor of the house if you take the Behind the Scenes Tour. Consider visiting Monticello during Toddler Time which is offered on the third Saturdays of each month. This includes interactive stories, engaging activities, crafts and free play. Before your visit, download, read, and bring along Exploring Monticello: A Guide for Young Learners (pdf). It will give kids an “anchor” to remember what they see and hear on the house tour. In the gift shop, you may sign up on the computer in the back and receive a nickel from the cashier contained in a little package which makes for a nice memento for the kids. They will provide you with a loaner umbrella stroller at your request at the front of the house. "Monticello is the autobiographical masterpiece of Thomas Jefferson—designed and redesigned and built and rebuilt for more than forty years—and its gardens were a botanic showpiece, a source of food, and an experimental laboratory of ornamental and useful plants from around the world. Monticello was home not only to the Jefferson family, but to workers, black and white, enslaved and free."